India is a nation of music lovers. A culturally diverse nation as ours boasts of a motley assortment of musical styles that reflect the sound and rhythm of the region.In the north there is the highly energetic bhangra, in the east there is the soulful bihu and the rabindrasangeet music, in the south there is the complex yet extremely refined carnatic classical music and in the west there is colourful laavni. And the gamut of bollywood music reaches across all parts of the country. Music is a part of the daily routine and it’s an integral part of special occasions and festivals. Likewise, every generation revels in its own type of music. It is an integral part of the growing up years for every individual. Gifts for music lovers have always been popular. The gifts related to music have also evolved over time. From the gramophone of our great grandfathers to the good old radios of our grandparents’ generation to the cassettes and CDs of the years of our parents, to the USBs and iPods of the younger generation, music players have come a long way. 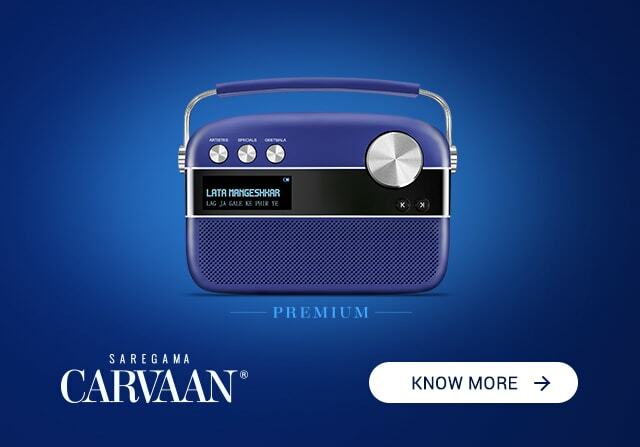 But the music player that has won the Innovation of the Year award, is quite the conversation piece and is trending in popularity charts is the retro digital music player, Saregama Carvaan. 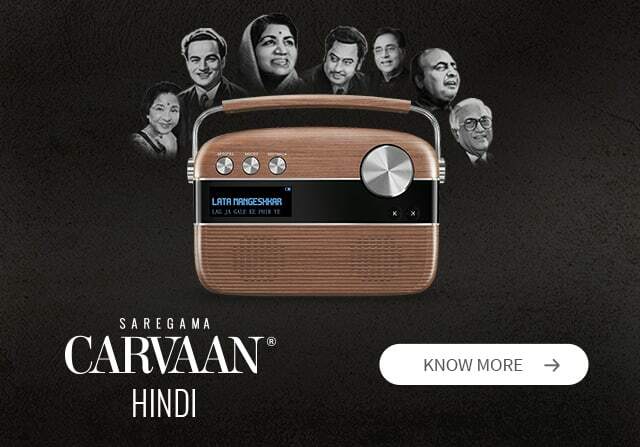 Saregama Carvaan is a music player that comes with 5000 handpicked high quality songs inside. 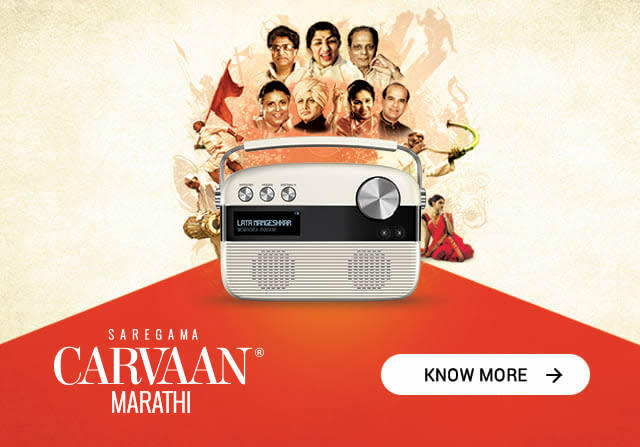 The retro songs in the player are sung by legends like Lata Mangeshkar, Kishore Kumar, Manna Dey, Mukesh, Asha Bhosle, Mohd rafi and Jagjit Singh to name a few. The songs are classified into artistes, moods and Ameen Sayani’s prcieless collection of Geetmala. You can also choose to listen to your own music through its USB and Bluetooth features and also has FM radio. It is an apt gift for music lovers for any occasion or on any festival. 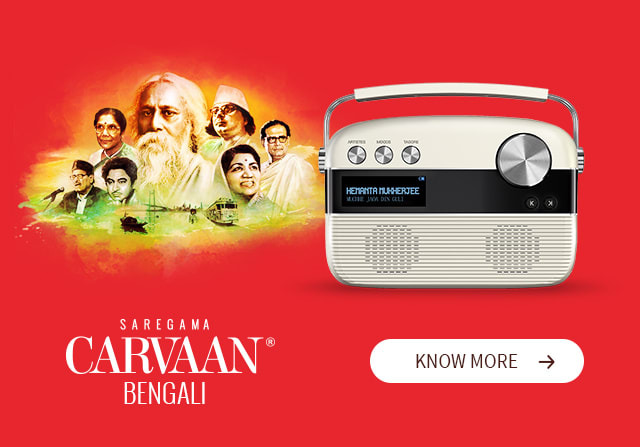 All you have to do is go to the Carvaan page on the website: www.saregama.com, choose your favorite color of Carvaan, select the appropriate gift wrapper and let Saregama deliver the Carvaan of happiness to your loved ones.